This park is very tight to move an RV around in. If you have a TOAD, you should disconnect outside of the park. They do have a location inside but it tight getting to it. This applies more to dollies than flat towing as you will scrub your tires getting in here. This park is very dusty. It dust looks like sand but it is dirty and if you have a dog, plan on having that brought in each time your dog enters your home. The employees are friendly and helpful. The sites are tight and you have to pick out your own. They are always the worse ones as campers will move into the better ones as previous campers move out. Like a lot of thousand trails, it also appears that people save slots for each other, as when you pull in they tell you-you can camp at any open site unless it has a paper saying that it is taking or has someone's items left there as if they left. The interstate is 100 yards away and on the opposite side of that is a major thoroughfare for freight trains. Trains go by every 20 minutes or so. the one good thing is there are no crossings so they do blow their horn all the time. Sites are just large enough to handle large homes but not parking. This is a very small overcrowded park. I will probably not stay here again. We camped at Thousand Trails - Palm Springs RV Resort in a Motorhome. As a member; daily rate N/A. Nice & Clean Park. Great Security for all. Areas are sectional for 30A/50A. The 50A lots are either a) partial asphalt/ sandy/sunny or b) concrete, private and shady in rear of lot. If you are fortunate to obtain a rear lot..... peaceful & quiet. No wifi/no cable. We camped at Thousand Trails - Palm Springs RV Resort in a Motorhome. This park was a dump! Very dirty, a homeless encampment along one side (staff at gate told to us to stay away from that area as things from RVers have been stolen), very, very tight turning, making it almost impossible going around campground, as well as trying to turn into a campsite with our 35' FW! Wish we would have listened to others about the overall condition of this park! We camped at Thousand Trails - Palm Springs RV Resort in a Fifth Wheel. 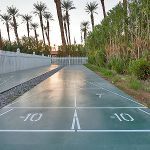 We found TT Palm Springs to be a great park! We wished we could have stayed longer. Staff was welcoming and helpful. Laundry room were clean, well lit and at a great price too. Showers and washrooms by the laundry in our section were spotless. We enjoyed the pool and spa after our days exploring Joshua Tree NP. Overall, this is our favorite TT so far! :-) Only issue about our site 402 was the sewer connection. With an above ground level sewer cap, we were unable to use our sewer since our line was running slightly uphill. We would have changed site if we had stayed longer, but we were fine for our 4-night stay. We would come back to this TT! We camped at Thousand Trails - Palm Springs RV Resort in a Fifth Wheel. We are a family of 4 with 2 kids ages 9 and 10. We quickly noticed that there are not many kids that visit this campground. The pool was nice and we enjoyed biking around. The campground is basically just a very large parking lot. First come first served on sites so don't arrive late! we saw some big rigs just driving around frustrated because there are a ton of sites that are not big rig friendly! No free wifi. We camped at Thousand Trails - Palm Springs RV Resort in a Fifth Wheel. We spent two weeks here and truly loved it. While the campsites are not spacious, we had plenty of room for our rig. We had a picnic table and an asphalt patio. The site was level, neighbors were friendly and quiet, and we had full hook-ups. Verizon signal was strong. The campground is located right beside interstate 10. At the front of the park, there is road noise. We stuck to the back section and found it to be very peaceful. The entire park is nestled into a grove of palm trees. There are organized activities, but we didn't participate in them. We did enjoy the Palm Springs area very much. We camped at Thousand Trails - Palm Springs RV Resort in a Fifth Wheel. 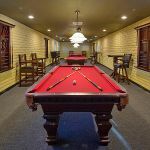 Park is well maintained staff helpful and actives range from pickleball to water volleyball. You are surrounded by a number of events and plenty of shopping opportunities. If it's strictly camping your looking for this is probably not your 1st option but the park can give you the a bit of the outdoor feel. On the bad side has quite a bit of road noise from the freeway and if possible get a site towards the rear of the park. 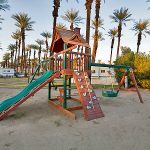 We camped at Thousand Trails - Palm Springs RV Resort in a Fifth Wheel. Left half of the park are pull-through site with 30amp service. The right half are back-in sites with 50amp service. Reservations are accepted but sites are first-come first-serve. We camped at Thousand Trails - Palm Springs RV Resort in a Fifth Wheel. Nice smaller 55+ park. Paved roads and concrete pads. Sites can be a but tight. No one was on either side of us our entire visit so we parked our car in the next site. Two pools. not much for activities. Right in Cathedral City so you are close to everything. Lots to do in the Palm Springs area. 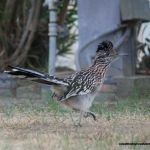 We camped at Thousand Trails - Palm Springs RV Resort in a Motorhome. Thousand trails Rv resort Palm Springs in palm desert. This is one of our favorite parks. It's close to everything. And big enough to give the dogs a good walk around the park. They do have a "small dog" park on the property. It would be nice if it was bigger with a double gate. The swimming pool area has really nice cabanas. Bathrooms and laundry rooms are clean, I can't remember the exact cost for laundry, I think it was 1.50 for wash and 1.25 to dry. The park has a nice big activity center and a book trade one for one room. Nice staff and campers. The speed limit is 5 mph, the streets are paved, the camp sites are gravel/sand. The park is full of Palm trees and they have some citrus trees. It is a very popular park during the winter, the weather is beautiful except for the sand storms that pop up sometimes. Rv'ers go there from all over every year. This park has it all! But most of all they welcome "everyone" and they are very pet friendly, welcoming all dogs, large and small. Which in my book shows a warm and caring staff and company. And no I'm not an employee of the park or thousand trails. We have a zone pass membership. And may join the full membership later. Thank you thousand trails for giving so much happiness to all. 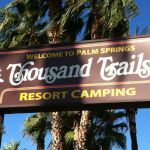 We camped at Thousand Trails - Palm Springs RV Resort in a Motorhome.